It is obligatory for all of us, and for most of us, it is mind numbing. We speak of the second factor in what Benjamin Franklin described as the only two certainties of life, “Death and taxes.” But Glenn Sandler is laying the groundwork to reinvent the tax preparation and business tax service industry and turn it into an experience. And, if anyone can do that, it is Glenn Sandler. Not following the leaders like H&R Block, Jackson Hewett or Liberty Tax, Sandler instead draws his inspiration from Disney. Though his sights are on the “Big 3,” for him Disney taught the world what customer service and customer experience means. You will see pages from the Disney playbook the moment you walk into one of his G.I. Tax locations. Sandler took his first steps to get to where he is today when he migrated from New York to Miami. Like most entrepreneurs, it wasn’t a linear path; in fact, his initial goal was to own a motorcycle dealership. With his natural business acumen, he felt the best preparation for that goal was to learn the financial side of business. So, after earning his degree in accounting, he became a CPA, like his father before him. After college, Sandler first went to Price Waterhouse to learn the fundamentals of corporate accounting, then to the South Florida firm, now known as Morrison, Brown, Argiz and Farra, where he specialized in the automobile retail industry. After completing an audit for one of the largest dealerships in Brevard, Jim Rathmann Chevrolet Cadillac, Jimmy Rathmann, the founder’s son, hired him as CFO. Sandler at the time was 25 and Jimmy 26. For 17 years he and Rathmann were business partners, riding an unprecedented wave of expansion and growth. During that time the dealership was one of the most successful in the market and together they opened Palm Bay Chevrolet, where Bass Pro Shop is today. It was the first destination car dealership in the county and one of the first in the country. Out of their two locations in Brevard, they were selling 700 cars per month, while their nearest competitor was doing around 200. Then Rathmann decided to exercise a buyout agreement, which left Sandler wondering, “What’s next?” It was at this time his initial desire for a motorcycle dealership became a reality. He bought Con’s Cycle Center and turned it into House of Power in Palm Bay in 2002. Con’s had done $3.9 million in 2001; By the close of Sandler’s first year, he had boosted sales to $27 million. 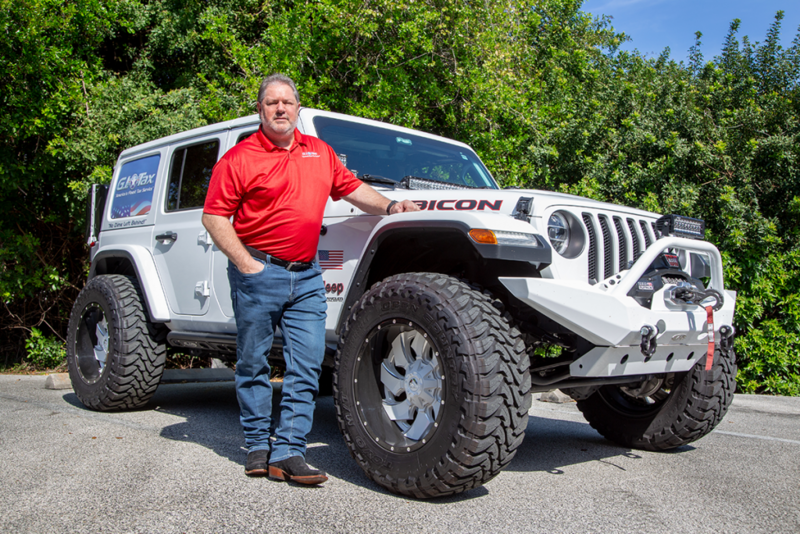 Like when he was with Rathmann, they targeted and learned from the most successful dealerships in the industry, not the most successful locally. House of Power became the largest volume motorcycle dealer east of the Mississippi. Sandler began studying the industry and even met with John Hewett, who left H&R Block when they didn’t embrace computerization and founded Jackson-Hewett. Hewett later sold that partnership for almost half a billion dollars, and when his non-compete expired, he launched Liberty Tax. Having done a lot a tax preparation for veterans, activity duty and military retirees, Sandler decided to focus on that demographic, much like USAA has done in the insurance sector. 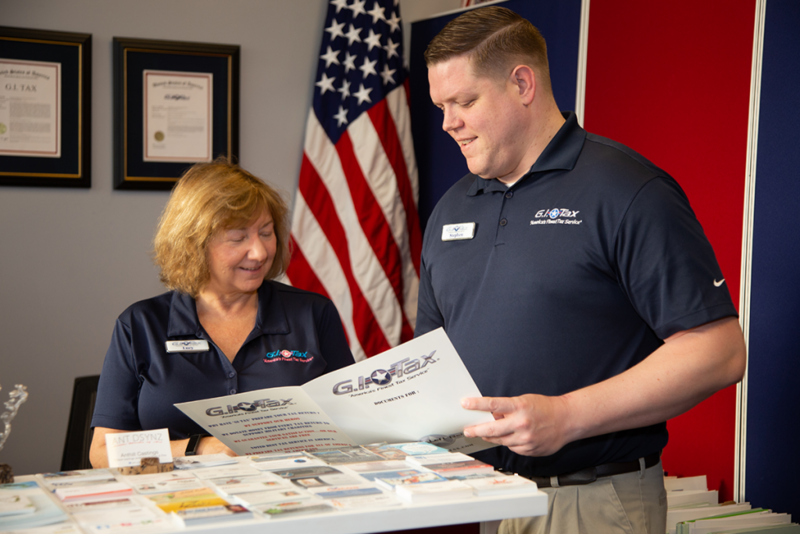 Sandler’s goal is to sell franchises to men and women who have served so they can own their own business, while providing employment and opportunity to other veterans and friends. The name he settled on was G.I. 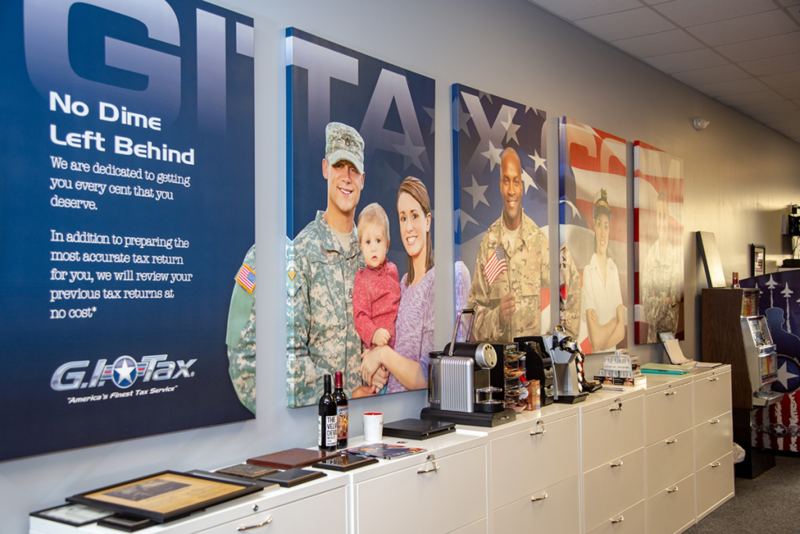 Tax, and it is designed to appeal to active and retired military. In addition, Sandler is locating initial franchises near military installations, so his owners will be able to capitalize on the target audience. The moment you walk in to a G.I. Tax office you are immersed in a theme of patriotism and fun. 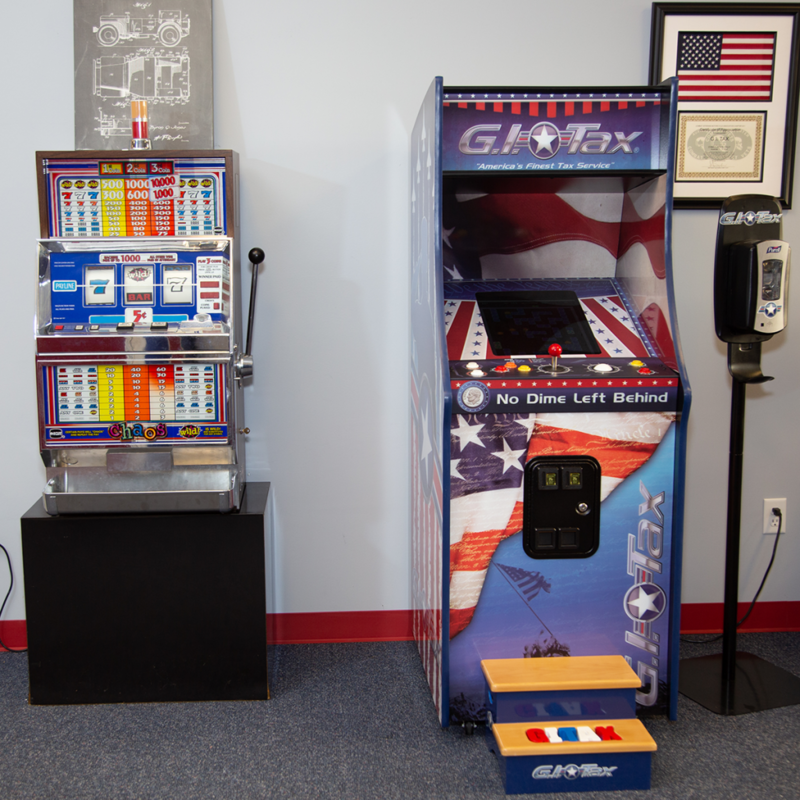 They even have video games for kids to play while parents are getting their taxes done. For Sandler, it is providing more than just a service — he is providing an experience, along with an understanding and a deep respect for the unique and vital contribution each active duty and transitioning veteran has made. G.I. Tax even contributes $10 per tax return out of their profits to veteran causes. “We get to do the crazy things we do because our military is standing watch night and day; because they have made the sacrifice,” Sandler said. When he saw the comradery and sense of duty our service personnel embody, it made him want to do something for them that would extend that sense of fraternity, while providing opportunity and value for all. In January, Sandler took his team to their first franchising trade show in South Florida. After five years of refining their branding and business processes, they are launching the vision Sandler had when G.I. Tax began. It is another launch from the Space Coast that could be heard around the country.